Please include the following: Polka Dot Color, Name with font and color choice. 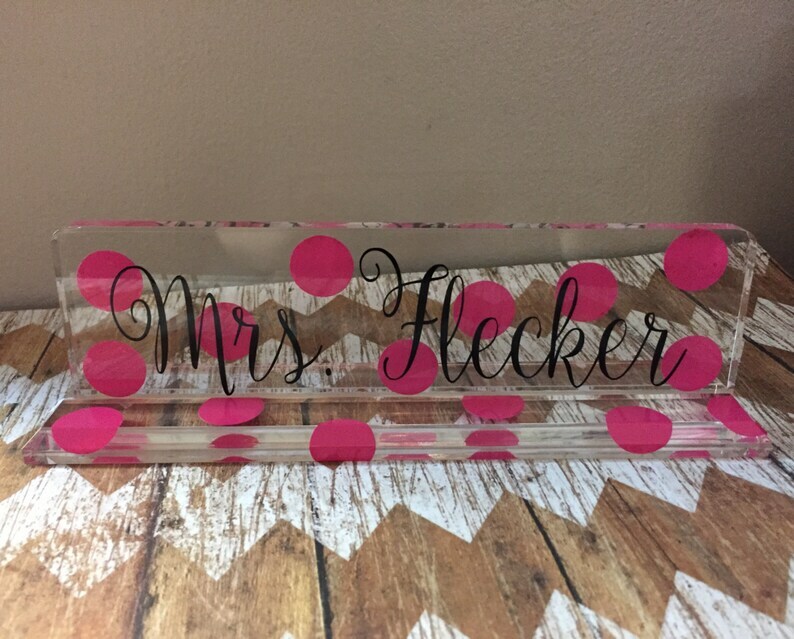 These personalized acrylic desk name plates make the perfect gifts! They make the perfect addition to a teacher's desk or an office desk. They will make a great Christmas gift for a teacher, secretary, or anyone you can think of! 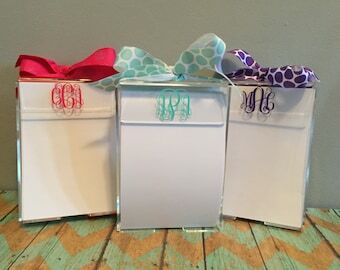 This listing is for one monogrammed/personalized acrylic name plate. These are made out of clear acrylic, and they come in two pieces. Dimensions are 8 3/8" x 2" x 2 1/2" and as seen in the pictures, they can be customized with a full name and polka dots if desired! We use only high quality commercial grade outdoor vinyl to personalize these. Shipped fast and I had ordered 3. Super duper cute. Everyone in our office is jelly. Love how this nameplate turned out.